Wearing the wrong suit on a hot day can make life pretty miserable. If you've yet to invest in suits to match the different seasons, you're seriously missing out. We've put together some stylist tips to guide you through buying the perfect spring or summer suit, from choosing the best fabric to getting the colour right. You'll also find everything you need to know about how to style lightweight suits so you can stay sartorially savvy during warm weather. The material your suit is made of will make or break your comfort while wearing it during the warmer months. Natural fabrics will allow your skin to breath, helping to reduce a build up of heat so you stay sweat-free. It's fine to have a blend with polyester or elastane to add some elasticity to the fit, but at all costs avoid blends that are more man-made fabric than natural. Cotton summer suits are generally harder to find than wool or linen suits but they're well worth the hunt. Offering a more structured fit than wool and less prone to creasing like linen, they’ll keep you cool in the heat without having to compromise on style. You may be asking yourself if wool suits are hot in summer and the simple answer is no, as long as you opt for a finer yarn. If your budget will stretch, start your search by looking at fresco wool suits as the fabric has an open weave, helping it to improve airflow so you remain cool. Linen suits always divide opinion as they crease easily but are one of the most lightweight fabric options available. They're particularly good for really hot weather or if you need to take a suit on holiday, but don't make it your regular 9-5 suit during the summer months if you want to keep your style looking sharp. Spring through summer is the perfect time to ditch dark colours in favour of a lighter and more colourful palette. While navy suits have started to overtake black suits during the winter months, pastel menswear has seen a massive surge in recent collections. Incorporate the trend into your summer wardrobe by investing in a pastel blue lightweight suit for hot weather, which will look great at weddings as well as other smart occasions. Beige suits don't have to be boring; it's all about pairing them with the right accessories. Just like it is for chinos, beige is a great colour for spring and summer as it goes with just about anything so you can start with a blank canvas. If you're taking a summer suit on holiday it's also one of the most popular colours to wear. If you want to inject more colour into your smart attire, look to light pink linen suits as a contemporary alternative to beige. They look great with white, light grey or light blue shirts and a pocket square will add the perfect finishing touch as a wedding guest outfit option. Cobalt and azure blue hues will instantly brighten up your workwear wardrobe during summer and are the warm weather alternative to navy. Blue suits look particularly good in linen and you can wear the suit trousers on their own as a smarter option than chinos when you need to impress. Light grey suits are the most versatile colour for spring and summer but should be avoided on wet days. Apart from that, if you're going to invest in one summer suit make it a grey one. It'll do you just as well at weddings as it will in the office or on date night. Just like the suit, it's important you wear a summer shirt made from natural fabrics for maximum comfort during the hot weather. Choosing a light colour will help to reduce any unsightly sweat patches, as well as keeping the outfit fresh. 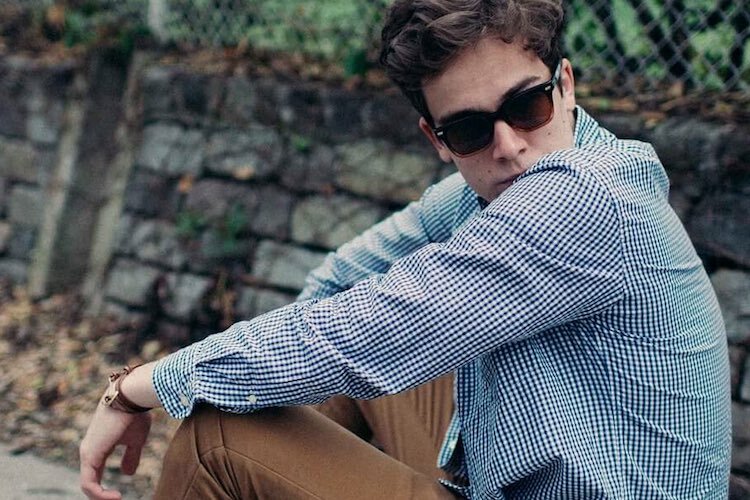 Follow the tips below to match your shirt to your summer suit perfectly every time. Get the shoes and accessories right and you'll instantly change the entire vibe of your summer suit outfits. As well as dressing up your suit they can also help to dress down a suit if you want to look more casual. Loafers are one of the best styles there is to wear with a suit in summer for one simple reason – they look great worn without socks. If you're not a fan of loafers, look to suede brogues for a summery take on this wardrobe classic. Colour-wise, tan/brown shoes will work with just about any suit colour while navy shoes look great with grey suits. Try to avoid black shoes and keep them firmly at the back of your wardrobe until the cooler months. Watches are a great way to express your personality and add interest to your smart summer outfits. We'd always opt for simple leather and NATO strap watches in hot weather from mid-budget watch brands rather than a chunky Rolex or similar. To balance out a light summer outfit it's best to choose brighter colours for pocket squares and ties so they gain the attention they deserve. Shades of burgundy look great with blue, grey, light pink and tan summer suits, while navy tones and even shades of dark brown can also work. It's important that any patterns on the tie or pocket square don't clash but you can play around with a polka dot design on one and paisley on the other. If you can afford it, always go for silk over cotton. Now you know what fabrics to go for, which colours work best and how to accessorize your spring and summer suits, checkout the outfits below for inspiration on how to pull off different looks. 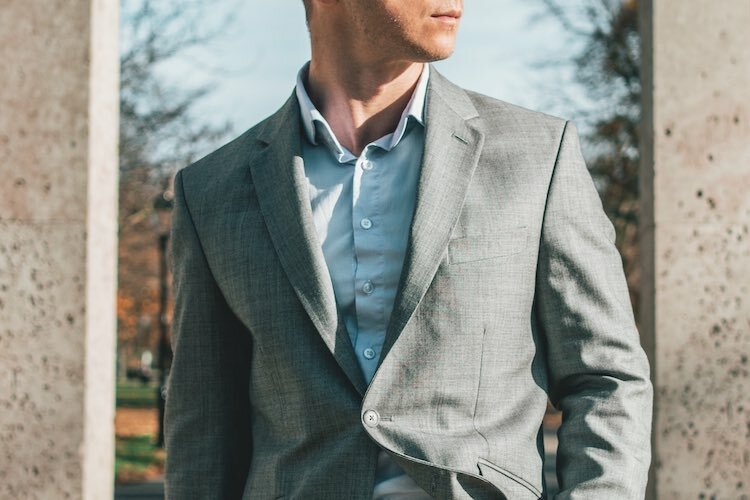 Always opt for modern suit styles like a slim or tailored cut for sartorial success and it may be best to stay clear of skinny cuts if you appreciate your comfort! A light grey lightweight suit will be the most versatile item in your summer workwear wardrobe. Wear yours with a light blue shirt if you want to inject some colour into your outfits, or a plain white shirt if you want to tone it down. Complete the look with brown suede brogues and navy accessories like the dot tie and patterned pocket square featured above. Cream linen suits are hard to pull off at the best of times, so your best opportunity is during the warmer months when everyone is in lighter colours. Keep the rest of the outfit neutral with a white shirt and brown loafers, while a tie and pocket square can add pops of colour. A brown fresco suit is perfect for spring as the temperature starts to rise, looking just as stylish in the office as it will on a city break. Wear yours with beige shoes plus a matching brown leather watch and belt. To add colour to the outfit, team your suit up with a light blue shirt and complementary pocket square like the one featured above. This outfit is all about harmonizing, with the light blue monk strap shoes matching the light blue suit perfectly and the pocket square using similar hues of blue. The white shirt helps to keep the outfit fresh while the darker blue belt splits the top and bottom to break up all the light blue. When you're choosing summer suits for weddings it's important to think about location. If it's an outdoor wedding, the chances in the UK are it may rain. This means you'll need a darker colour fresco summer suit such as navy, which won't show up rain drops like a lighter linen suit would. 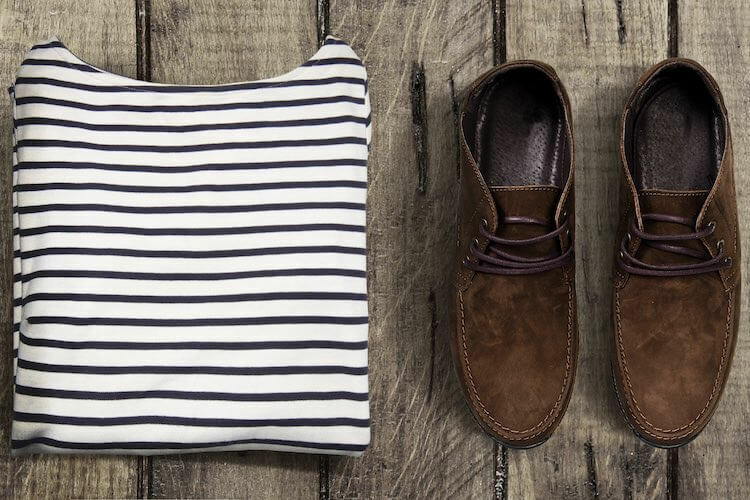 The outfit above is deceptively simple, but uses well-chosen shoes and statement accessories to elevate the look. When you're guaranteed to be spending most of the day indoors, a light grey linen suit is perfect for a spring/summer wedding. Set yourself apart from the crowd by opting for darker grey loafers rather than brown, plus a matching suede belt like the outfit featured here. Dressing down a suit has become more and more common in recent years as gents try to achieve a more casual look with their formalwear pieces. When you want to wear a summer suit casually, the easiest way is to swap your smart shoes for trainers and ditch the tie. The outfit above is a perfect example, showing just what can be done with a light brown casual linen suit, Converse trainers and a white shirt. During spring, another easy way to dress down your suit for casual occasions is to swap your shirt for knitwear. Start with a grey lightweight summer suit, add a pair of white trainers (in the case above a pair of Stan Smiths) and choose a striped jumper to add interest to the outfit. Complete the look with minimalist accessories like a Scandinavian watch and tan leather belt. The official Hot Drops Style Team, headed up by Features Writer Ilana Leonard. Bringing you insider gossip, trend news & expert style advice.